For busy moms, perhaps no question is more dreaded than "What's for dinner?" The Six Sisters are here to help! 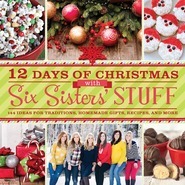 The Six Sisters' Stuff blog is a favorite of seven million readers every month. With a variety of entrees, their latest cookbook features more than a hundred quick-and-easy, tried-and-true recipes that make this your go-to resource for family-favorite, delicious dinners using your oven, stove top, or slow cooker. The Sisters have already done all the organization, created the kid-approved recipes, and tested the cooking hacks ideas that can help make your dinnertime stress-free. So spend less time in the kitchen making dinner and more time making memories with your family. 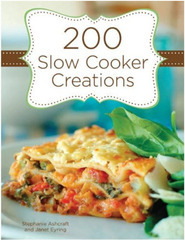 Love this great cookbook that helps make dinner quickly and easily! I love to cook and I love to read cookbooks, and Six Sisters Stuff is one of my favorites, both to read online and to read their cookbooks. I liked that they use ingredients that I have on hand and their recipes are usually quick, easy and delicious. I loved the way that this cookbook has a bunch of different sections depending upon what kind of recipe/how much time you have to make the recipe. The 30 minute or less section will be most helpful on days when you haven't had any time to think of dinner. And I love a good slow cooker dinner. It's always a great feeling knowing you made dinner first thing in the morning and don't have to think about it any more! I have had a great time making recipes out of this one. There were a couple of breakfast casseroles that I wanted to try, I couldn't decide which one to make, so I tried a half of each. They were easy to prepare and they both tasted amazing! I love that each of these recipes is a family friendly (picky-eater friendly) healthy meal that I will be able to make quickly and easily. I LOVE this cookbook!